Barrie, Liz, Greg, Annette, Eveline, and I welcome you to Module 6: Open Source Technologies. Your experiences with open source software will vary, and so did ours. But to walk the talk, as it were, we have hosted our presentation using all open source technologies. When you’re ready to jump in, proceed to the Open Source Technologies Website. One last thing, if you have any trouble viewing any part of the presentation, please leave a comment, and we’ll have it sorted out right away. Given the philosophical differences between Open Source Software and Proprietary Software, do you think customers are more tolerant of difficulties with OSS? I honestly believe this depends on the user. Some users are very pro OSS, they believe in the philosophical foundation and so they are tolerant and bounce with the difficulties. Users that simply use software as tools, whether it is OSS or propriety are less likely to be tolerant, they have a tool, they expect it to work. I also think the demographic matters. New users to computers, especially those that are >40yrs old would find glitches very frustrating regardless and would be less likely to even know what OSS means. Why would individuals (especially those from well paid companies) give away goods and services that have significant value? An interesting question. I work for The Univesity Health Network, a union of 3 hospitals with over 10,000 employees. We do thousands of x-rays, ultrasounds, CT scans, MRIs etc per day. We were looking for a new RIS/PACs software to handle voice recognition dictation, online protocolling and a number of other complexities of being a multi-site operation. After going to RFP and analyzing the offerings, it was decided that none of the vendors met our needs…..so we decided to build our own in-house. It has been a massive undertaking and it is just now being rolled out, but UHN has created an OSS RIS/PACs system that is extemely robust. For those of you that know anything about the price tag of anything that has to do with healthcare you know that this could be huge, UHN could have made big money selling this solution to other hospitals, but the conscious decision was made to keep it opensource. It was created to make healthcare better and to help out the community, while meeting a current need, not to make money. I love your opening !!!!! A good reason for such donations towards others is for the same of any non-profit organization. It takes some pressure off the systems that are in place. For example, in the future we won’t have enough individuals to work and make the health care system workable. Like the old saying goes….Something’s gotta give ! Blog Question: The Free Software Foundation states “ Free software has become the foundation of a learning society where we share our knowledge in a way that others can build upon and enjoy” (http://www.fsf.org/about/what-is-free-software). How does this viewpoint support the educational institution? 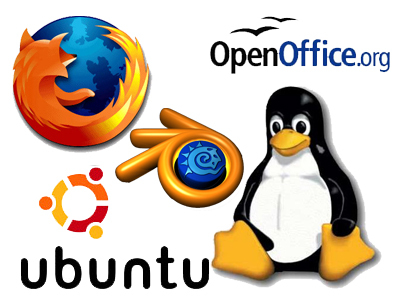 I think that the ideas behind free software are very much in line with the push in education towards collaboration. We teach our students to work together and cooperate – free and open source software and programming work best when people collaborate. I sure learned that when I had to do an assignment on Moodle and searching online gave me hundreds of answers to my questions. Where I see this being an issue is in regards to risk taking and trouble shooting. Most teachers want software that works easily, has a proven reputation and does what they expect it to do. They don’t want to trouble shoot or solve problems regarding the software in their rooms. For those of us in BC, think about all the issues teachers have griped about with regards to BCeSIS (not that it was free, mind you!) Most teachers need things to be fairly simple, or it becomes another addition to their job. With budgets the way they are, tech staff also need software that is relatively proven and that has a “warrantee”; so they can go back to the company to solve issues that arise. First of all, great job on this module. I am really enjoying the readings and activities. “Given the philosophical differences between Open Source Software and Proprietary Software, do you think customers are more tolerant of difficulties with OSS? I would agree that customers are more, or should be, more tolerate of difficulties with OSS. After all, OSS is free (usually) and I have trouble with the idea that products and services that are consumed by millions at no cost should be subject to heavy criticism. I suppose it is akin to getting a free meal and returning it to the kitchen because it’s too salty. On the other hand, we live in a time where we fully expect out technologies and software too function quickly, and efficiently, and we seem to have little patience for inconvenience. Perhaps a sense of software entitlement? I would argue that there are many OSS applications that function well and reliably, while there are many proprietary products that are nothing but trouble. I have Microsoft Vista on my laptop and it is horrible. I spend hours on forums trying to find solutions to the problems it causes. Anyone who has tried to get support from Microsoft will agree it is definitely inconvenient. On the other hand, Firefox and Thunderbird have never caused me any difficulties, and the frequent updates (easy, automatic) keep hackers at bay. I think that as OSS gains more recognition users will find that there are not really any more issues using ‘free’ software. I think it is interesting that the question was phrased as customer. Are we really customers when we use OSS or are we participants and USERS? As for technical difficulties I am sure that some people look forward to solving problems within OSS and thus helping fellow users, after all it is the ability to fix the bugs and make it better that attract me to OSS. I’ve always wondered what motivates the OSS movement. The profit motive is the driving force behind the proprietary software side of things, so your question about why people would give away products or services that may have value is an interesting one. I think part of it is philosophical, but I do think, after a fasion there is still a profit or get ahead motivator involved. Even if the software itself isn’t sold, if someone can still attach their name to it, or gain a useful skill inthe process of developing it, they become more marketable to potential employers. Not sure if thats the only reason, but its my initial thought on the subject. That is a great point; many individuals are just now talking about Moodle and it is becoming very marketable. I like the idea that we can get more users on board with free software. Perhaps people realize that they don’t need to become fabulously wealthy in order to feel fulfilled. I’m guessing that those who create or help create the software end up with paying jobs in the tech field. Perhaps in service or in R and D with a tech company? Plus, they can monetize the project by providing extra services for their product. ATutor, a Canadian OSS LMS, provides a service for a fee where they will assess your LMS site and courses for accessibility issues. They also have a fee-based customization department. This basically funds the project. I am sure that there are many financial spin offs from OSS.Many that do not appear at the surface. Just look at the $ Google has made from spin offs of what it provides. Firefox, Moodle, and the many others mentioned within the site all in my personal opinion are amazing. One of the most interesting aspects of this type of software is the fact that it can be continuously improved upon and personalized. It is like a recipe for cookies wherein each cook adds their own personal ingredient along the way and improves the recipe to suit their needs…..
Great work, Team 6! I have really been enjoying working through your presentation. Blog Question: There is an argument that students should use proprietary software (like Microsoft Office) in schools as they will most likley have to use it in the work environment. …. Do you feel that the skills students would learn on OSS applications can transfer to proprietary applications? In the last two places I have worked, we have used OSS. So, really, I don’t see this as a very strong argument. I I have used Open Office, and the basic ideas are the same. In fact, most of the OSS I have used are pretty intuitive. The world of Digital Natives have grown up understanding computer systems and applications. Most of the natives are highly capable of navigating any application or system. I actually believe that students should be using a variety of applications throughout their education in order to be marketable. There is no sense limiting yourself. By the way, I have never used digity.com before. Interesting application. What do most people use it for? Would you support implementing FOSS/OSS in your work environment? In your post outline your environment and give some reasons why or why not based on what you have read and viewed in this presentation. My school board has recently canceled Microsoft office licenses and has moved to OpenOffice.org. I believe this is positive move as it will expose students to the OSS movement and with proper implementation the philosophical underpinnings of sharing and collaborating. I believe that the skills the skills they obtain will not limited their ability to compete in the market place but rather improve their competitive edge as they will be familiar with a variety of applications. However, teachers are struggling to adjust. Many find it difficult to moving between their own computers and the school computers. Certain aspects are changed when word is imported into openoffice and they feel frustrated. I believe part of the problem is that the implementation was introduced as a cost cutting measure (hundreds of thousands of licensing fees). There was no discussion of OSS as a movements and teacher were told that it is interchangeable with word so they did not need to change their home systems. In conclusion for students it will open new possibilities, but with teachers more than simply changing the software is needed for successful implementation. A larger community needs to be built in order to overcome the resistance to change. Great Presentation I am significantly more knowledgeable of OSS compared to when I started…. The balance between media and text was well done and to further promote awareness about open-source software, your entire project was completed using this software. Very impressive. The Free Software Foundation states “Free software has become the foundation of a learning society where we share our knowledge in a way that others can build upon and enjoy”. How does this viewpoint support the educational institution? Open source software and open source educational resources have and will continue to have an enormous influence in the world of education. Access to open source software and open educational resources caters directly to the needs of not only educational ventures in the global learning environment but also prospective learners around the world. Open source software provides excellent virtual infrastructure for educational courses while open educational resources allow educational ventures to access free expert knowledge and content to share with their learners. We have seen this in action in such communities of practice as Peer 2 Peer University and University of the People. Overall, I think that OSS, and more specifically, FOSS, will bring about greater good for our global society as a whole. Team 6 – this was an excellent presentation. I have definitely learned a lot about OSS/FOSS that I definitely did not know before. And I learned how much a part of my daily life it has always been, and how much more a part of my life it has become recently, especially since starting this MET program in September. I would have to say that “OSS delivers” in terms of collaborating for the common good. There are endless possibilities for using FOSS in classroom activities whether it be for content creation for my lesson delivery or for interactive lessons with the students in class. I absolutely would support implementing FOSS in my work environment. I intend to seek out more possibilities to integrate open source software into collaboration with members of my department. As well as exposing students to the collaborative learning environment that OSS provides. As teachers in this MET program, we are being exposed daily to the endless benefits of collaborative efforts and knowledge sharing. In order for education to continue to be an effective useful tool for students’ growth, teachers will have to role model the collaborative nature of teaching and learning with their students. We must teach them how to function in the current technological world where there is value placed on sharing their ideas, subjecting themselves to critical analysis (whether it be self-analysis or critique from others) and contributing to content that augments their own learning as well as others’. We will engage students in their own learning by showing them how to be interactive with the knowledge they are accessing. And in this way prepare them for a society where we will build on each other’s ideas in order to grow in our own learning. Is FOSS/OSS robust and reliable enough for applications in K-12? I think that up until now, I may have been led to a few OSS websites that were useful to others and I have cautiously tried them out. As others have mentioned in their responses on Joomla, if I have time to “play” with it, then I will explore it. However, when it comes down to the wire (time constraints), I need to use what already works and not take the more risky option of trying something new, even it is free. Having said that, now that I have been exposed to more OSS and have seen what my peers have done with it, I realize that in sharing their use of these open source software programs with the MET class I have been exposed to the value and applications possible and I am now more willing to “give it a try.” In that way, FOSS is reliable enough for applications in K-12, as long as we collaborate with our colleagues and share the capabilities with each other. In that sharing and collaboration, we will improve the robustness of the OSS, because we will be building on the knowledge and experience of one another, and hopefully increasing the usefulness of the programs that we are using. What a great module Team 6!! I wish I had known some of this stuff years ago. Provide an example of FOSS that is being used in a developing country and briefly describe any cost savings and how it is empowering that nation in the long run. Moodle a FOSS learning management system is used by many institutions in Africa. It is currently being used by the Mauritus Institution of Education, a teacher training college, to provide HIV/AIDs education to teachers in training, as well as primary and secondary students. This program called MIE-School -linc has two components – F2F and an on-line one using the Moodle platform. The program developers chose Moodle because it was free, and because it suited their own constructivist teaching philosophies. They felt they could design a program that was intuitive and simple to use. Technical support for this program was readily available. The cost savings are obvious- especially as the school could provide in-house technical support. Aside from the obvious benefits of HIV/AIDs awareness, I think there is great power in creating your own programs. These programs will be designed in a context specific to the particular culture in which they are being used. The program developers stated that this program was very intuitive for the students. Because the designers knew the students they could design a program for them. I wonder if someone from Canada had designed the program, would it have been as intuitive for this group? Being able to design their own programs will allow people in developing countries to programs that meet their needs. Given the philosophical differences between Open Source Software and Proprietary Software, do you think customers are more tolerant of difficulties with OSS?-Absolutely that is my sense. It would seem that OSS would naturally attract tinkerers. a la Stephen Fry’s plumber analogy. That said, the shear volume of programmers working on OS programs should reduce the bugginess of programs. Blog Question: There is an argument that students should use proprietary software (like Microsoft Office) in schools as they will most likley have to use it in the work environment. Opponents of OSS in schools feel that using applications like OpenOffice.org to teach students office productivity applications would put them at a disadvantage in the workplace. Do you feel that the skills students would learn on OSS applications can transfer to proprietary applications? Take a look at OpenOffice.org, or other applications that could be used in schoools, and then post your ideas to the course blog. No, if schools can reallocate money by using OSS then they should use that over MS Office. Students should be flexible in their abilities to use programs designed for similar purposes. This flexibility is a key skill, more important than any one program. After all MS might not be the top supplier by the time students graduate and start working. You make a great point Bev about the inherent cultural elements that FOSS affords potential learning platforms on the net. From my research when we look at the big proprietary elearning companies such as Blackboard and Wimba they must have elements of cultural bias involved and when I think of Indigeny and the net – communities need to have the option to create learning opportunities in a way that is appropriate and true to their cultural values. James your comment made me think of Seymour Papert and how he is so passionate about computers as tools to create thinkers and problem solvers not tools for passive interaction. FOSS is a great way to stimulate problem solving brain development and thinking.